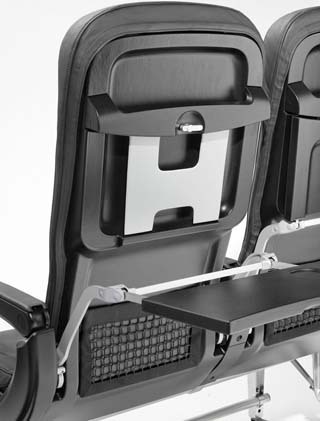 An aircraft seat back tray table that was cast in the aluminum alloy Magsimal®–59. The alloy was critical because the part was delicate, but it had to retain its strength and precision shape for years. Photo courtesy of Cambridge, a division of Pace Industries. Cambridge, a Division of Pace Industries, works closely with customers from early tool and die involvement through engineering, precision die casting, and secondary machining, finishing, and assembly. Cambridge, a division of Pace Industries, is a job shop that manufactures lightweight, tight tolerance, high–endurance assemblies for aircraft interiors using processes that include precision die casting, CNC machining, powder coating, and assembly. Cambridge was founded in 1945 when two friends, who worked at the Charlestown Navy Ship Yard (later renamed the Boston Navy Yard), celebrated the end of World War II by founding their own machine shop in Cambridge, Massachusetts. Today, Cambridge operates facilities in Dover, New Hampshire, and Massachusetts plants in Chelmsford and North Billerica. The three plants comprise a total of 550,000 square feet of manufacturing space and, in addition to aerospace, produce parts for the medical, instrumentation, defense, automotive, lighting, recreational, and garden industries. The North Billerica plant is registered to the ISO 9001:2008 Quality Management System standard and to the ISO 14001:2004 Environmental Management System standard. It is also compliant with International Traffic in Arms Regulations (ITAR). "We thrive on difficult–to–manufacture, tight tolerance components and assemblies," said Jeff Martin, New England sales and program manager for Pace Industries, Cambridge Division. "Our core competency is precision die castings requiring CNC machining, finishing, and assembly." Die casting is a metal forming process that injects molten metal into a steel mold. After injection, the metal solidifies and the part is ejected from the mold. Since the mold is extremely durable, the mold's design can be complex and quite precise. The process is quick, according to JobShop.com. "Die casting is frequently referred to as the fastest route between raw material and finished product," said Pace on its website. Pace Industries, the owner of Cambridge, merged with Port City Group in 2015 to create one of the nation's largest die casting companies, giving its individual companies a wide array of resources that they call upon in engineering, assembly, tool making, prototyping, precision machining, finishing, and painting. Pace, headquartered in Fayetteville, Arkansas, operates 12 divisions and 21 facilities in the United States and Mexico. One of Pace's strengths is its in–house tool and die capabilities, which enable faster response times and earlier involvement of tool and die makers in customers' projects, the company said on its website. These capabilities translate to tool expertise and higher levels of tool and die maker support, according to Pace. The company's three tool and die facilities offer what Pace describes as "complete tool design, tool fabrication, tool verification, tool repair, and precision die casting machine components." As a result, Pace is able to build dies 10–to–12–inch unit dies, as well as dies that exceed 50 tons. According to the company, two of its tool shops are equipped to help reduce lead times for tool development and produce multiple grades of tools to fit customers' budgets. They are also able to make tools that reportedly last longer. For production, the company's equipment includes 18 aluminum die–casting machines, ranging in clamping force from 400 to 1,200 tons. Its zinc die–casting machines start at 250 tons and include three 450–to–650–ton machines. After die casting a part, Cambridge offers numerous secondary processes, beginning with CNC machining. Besides having about 60 CNC machining cells at its disposal, Cambridge also houses automated robotic DC cells, wet paint and powder coating lines, and electro–mechanical component assembly with hardware management. The company offers full product assembly, as well as product management and worldwide logistics. In the last three years, Cambridge has invested more than $3 million in new equipment that includes two new robots, four new horizontal CNC machines, and two new coordinate measuring machines (CMMs), Martin said. For its aerospace customers, Cambridge uses specialty alloys that meet "excellent strength to weight requirements," Martin said. Parts are used for seat back tray table assemblies, as well as other interior aircraft components. Cambridge employees use advanced engineering and manufacturing skills–from die casting and machining to powder coating and assembly–to complete these complex, tight tolerance parts. Pace's Cambridge division (www.paceind.com/location/cambridge-division) prides itself on dedicating a product manager to each customer's part. "Our people are our biggest strength," Martin said. "Our value framework is centered on being an engineering–driven company that is significantly invested in our customers' success." Pace Industries, Cambridge produced this main housing, an A380 aluminum die casting that weighs 0.14 pound, for a military device. The part, an ultra–compact packaging system with self–contained optics, electronics, integrated weapon mount, and independent power source, won first place in the Aluminum Die Casting, under 1 pound category of NADCA's International Die Casting Design Competition. Photo courtesy of Cambridge, a division of Pace Industries. Cambridge employs about 225 people, and 21, or nearly 10 percent, are engineers. In design engineering, Martin said that the company's personnel leverage their skills and experience in combination with cutting edge technology–like predictive analysis software that enables mold flow and thermal stress analysis, finite element analysis (FEA), and computational fluid dynamics. Cambridge's in–house tool shops also employ late–model cutting technology that "enables tooling to be created faster and more reliably, with longer tool life," Martin added. In process engineering, employees use a proprietary shot control/shot monitoring system that measures and collects data for a multitude of process parameters, Martin said. Cambridge employees use advanced product quality planning (APQP) "to develop robust manufacturing processes," according to Martin. They also use statistical and other methods for improving and achieving high quality parts. "Cambridge has embraced a zero–defect culture," Martin said, adding that the company routinely meets or exceeds Nadcap precision flatness tolerances. Among Cambridge's challenging parts was an aircraft seat back tray table that was cast in the aluminum alloy Magsimal®–59. The alloy was critical because the part was delicate, but it had to retain its strength and precision shape for years. "It minimizes the weight, which is a critical consideration for fuel consumption," said Martin. It also had to be weldable and resilient, with corrosion resistance. Martin said that Cambridge employed several in–house processes: casting, machining, powder coating, and assembly. "This was an extremely difficult part to design as a die casting," he said. "The material also offers increased elongation. The part will bend and avoid fracturing." Pace Industries–Cambridge Division was recognized last year by the North American Die Casting Association (NADCA) for an innovative die casting design that it entered in NADCA's International Die Casting Design Competition. The winner in the Aluminum Die Casting, under 1 pound category was a main housing casting of A380 aluminum. 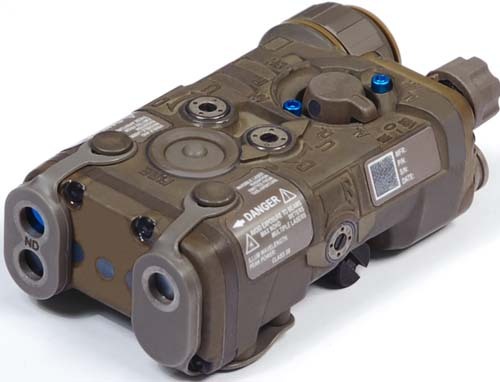 The part is an ultra–compact packaging system with self–contained optics, electronics, integrated weapon mount, and independent power source. Although it had previously been designed as a plastic part, it now needed the durability of metal, Martin said. The North American Die Casting Association gives the awards for parts that exemplify the versatility, ingenuity, and quality that drive the die casting industry, NADCA said in announcing the award. "There are four equally weighted criteria: ingenuity of casting and/or product design, overall quality, cost savings as compared to other manufacturing processes, and the part's contribution to expanding the market for die casting." Martin described the engineering problem presented by the part as a "challenge to create the main housing with all internal and external features utilizing thin wall, multi–slide casting." It involved "complex tooling with multiple shutoffs," he said. "The shutoffs of the tool steel required a glove–to–hand fit in order to create the casting." Besides extremely tight tolerances, the completed part required "walls less than 0.050 inch with tremendous details," Martin added. To redesign the part, Cambridge engineers met with customer engineers to improve the design for manufacturing, and used mold flow analysis software to confirm expectations. Cambridge chose an A380.1 aluminum alloy for the casting. The tooling itself, made from H13 tool steel, was single impression die cast tooling with four slides. "We designed a part that would not add weight, but significantly increase the structural integrity on the part," the company said on its website. "Not only did we succeed, but we exceeded all expectations, creating a part with walls less than 00.05 inch thick, yet with tremendous detail and durability." Cambridge provided die casting, CNC machining, anodizing, assembly, and packing. Its redesigned part cut overall costs by 87 percent. Cambridge has manufactured about 200 to date and its estimated annual usage is expected to reach 10,000 per year. Cambridge also won top honors in NADCA's 2015 International Die Casting Design Competition for a structural, side arm–rest frame that was designed for a first class sleeper seat on the Boeing 777. The part, manufactured to meet stringent aerospace material specifications (AMS 4291G), took first place in the Aluminum Die Casting, 1 to 10 pounds category. The customer chose Cambridge to produce a structural die–cast arm rest, replacing a part that had been machined from solid 6061 aluminum. Cambridge responded by producing a lighter, aluminum A380 die casting (8.28 pounds versus the original weight of 9.35 pounds) that reduced cost by 85 percent. "This was an extremely difficult part to design as a die casting," Cambridge said on its website in announcing the award. "Full credit must be given to Don Tremblay for the excellent design engineering. "Don worked tirelessly with the customer, establishing confidence in Cambridge's engineering prowess and convincing them of the design changes required to make this a successful conversion to a die casting. The overall success of this program extends to our total engineering and manufacturing group."